• Spend less time wrestling with your mane and more time having fun in the sun with our easy-peasy summertime strand savers. • Learn how to personalize your haircare products from start to finish (you can even customize the scent)! • A celebrity colorist dishes on the hottest hues the stars are going gaga over. Plus how to make your color last. 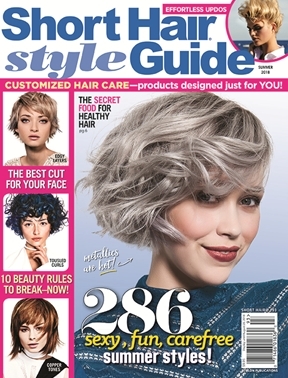 • Is getting your hair cut at a beauty school the way to go? Find out what to expect if you take your tresses to a beginner stylist.